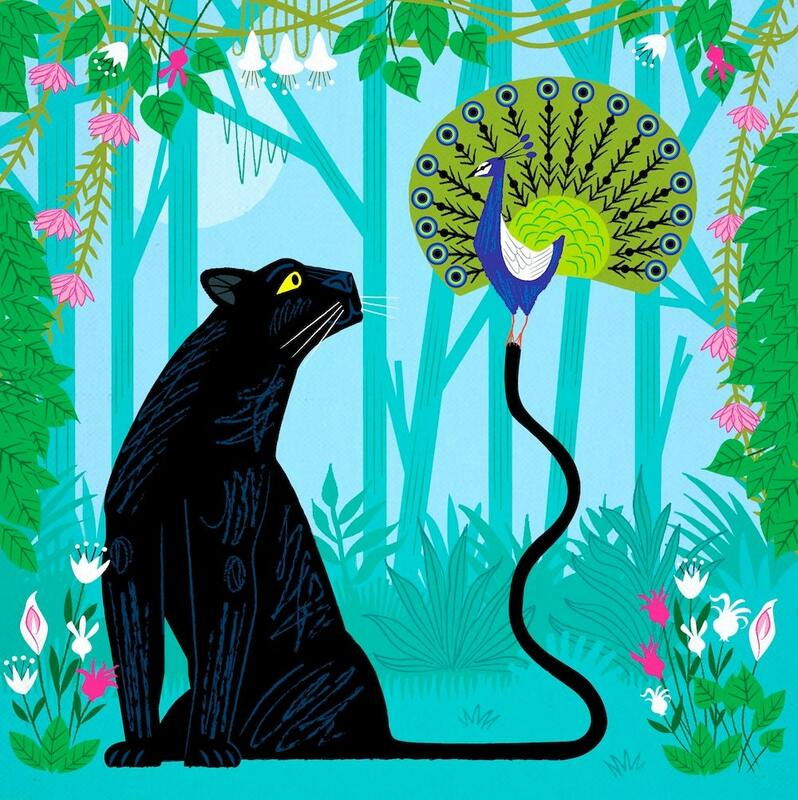 A limited edition illustration titled - 'The Peacock and The Panther' printed on the finest archival matte canvas paper. I fell in love with this picture the moment I saw it - it is just beautiful! The print was received in a couple of days and whisked off to be framed. The photo colours on the site are true and the print was exactly as shown.